"We should not be surprised that Islamic State (ISIS) and its associated lone-wolf and ‘known-wolf’ followers are increasing their operational tempo during Ramadan." We should not be surprised that Islamic State (ISIS) and its associated lone-wolf and 'known-wolf' followers are increasing their operational tempo during Ramadan. In keeping with their shallow understanding of the Qur'an and their gross misrepresentations of the scriptures, Islamist extremists believe Ramadan to be a month of conquest and jihad. Leading up to Ramadan's official start on May 26 this year, Muslims across the world were preparing for a month marked by acts of charity and self-discipline for the greater good of society. Not the jihadists who've surfaced this past week. 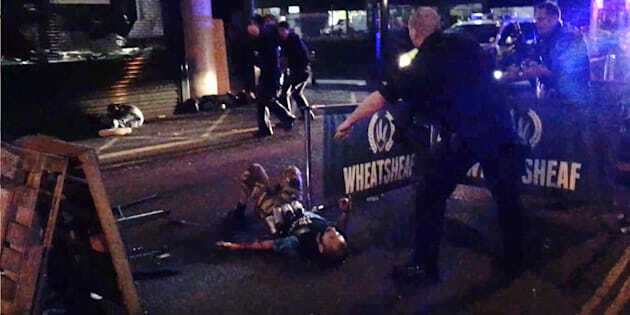 Salman Abedi, the 22-year-old British Islamist extremist, was instead planning to detonate an improvised explosive device, laden with nuts and bolts to act as shrapnel, in the foyer of the Manchester Area. This attack would murder 23 adults and children, and injure 116 more. Australians should heed the advice of security experts and 'brace ourselves' for the likelihood of more terror attacks during Ramadan -- not just abroad, but here at home. Abedi's middle name may have been 'Ramadan', but his actions were far from what Ramadan is supposed to represent. Harun Khan, Secretary General of the Muslim Council of Britain has said of the recent terror attacks in London: "Muslims everywhere are outraged and disgusted at these cowards', and 'that this should happen in the month of Ramadan, when many Muslims were praying and fasting, only goes to show that these people respect neither life nor faith". Among the Mancunians who rushed to help in the aftermath of the Manchester Arena bombing were British Muslims, who wouldn't have expected that their charity around the time of Ramadan would involve 'removing the bolts from people' that 'ripped through bodies... severing arteries, severing nerves, smashing bones and damaging spinal cords'; or bringing free food and water from their restaurant to shaken victims and emergency workers. In a statement released through the Nashir Telegram channel after the fatal Manchester Arena bombing, ISIS promised that 'what comes next will be more severe on the worshippers of the Cross and their allies'. ISIS may claim that Christians are their 'favourite prey' -- a description that reveals their warped sense of reality -- but the followers they radicalise and inspire tend to target people more broadly, and their victims are a mix of anyone other than Islamist extremists. Among the dozens in London on Saturday night caught up in the terror attack, two Australians have been confirmed dead. Australians should heed the advice of security experts and 'brace ourselves' for the likelihood of more terror attacks during Ramadan -- not just abroad, but here at home. According to experts, such as former Australian Secret Intelligence Service (ASIS) officer Warren Reed, we 'can't avoid' an attack on our own soil. ISIS is struggling to maintain ground in the Middle East, and no longer encourages followers to travel to its supposed heartland. Attacks carried out in the home countries of 'non-believers' are considered more effective. In May last year, ISIS spokesperson Abu Muhammad al-Adnani al-Shami told followers: "The smallest action you do in their heartland is better and more enduring to us than what you would if you were with us". Homegrown Jihadists have taken al-Adnani's advice to its fatal conclusion. Indonesian authorities are increasingly worried about a surge in Islamist extremism, partly driven by a new generation of ISIS-inspired militants. And this is not to say Islamist extremism is not still violently active in the Middle East, especially during Ramadan; in fact, we've just seen one of the deadliest attacks in Afghanistan since the start of the war in 2001. A suicide blast tore through rush-hour traffic in the diplomatic quarter of Kabul on May 31, claiming the lives of at least 150 people and injuring at least 300 more. But the insidious spread of Islamist extremism in other parts of the world -- particularly in Australia's neighbouring Asian countries, such as Indonesia and Malaysia -- poses a serious threat to our country. ISIS has claimed responsibility for the suicide bombings in East Jakarta on 25 May that killed three police officers and injured at least 12 people. National Police spokesman Awi Setyono said that ISIS sleeper cells may have been triggered by the Manchester Arena bombing, and ISIS militants' attempts to violently seize control in Marawi in the Philippines, which reignited their 'passion to start bombing again'. It's possible that militants and wannabe jihadists may travel from Asia down into Australia and form or join sleeper cells here, undetected by authorities -- especially if they communicate minimally, using secure technologies, and have no previous criminal record. While we should remain vigilant, especially during Ramadan, it's important to recognise that our Muslim population is also at risk; and, in our vigilance, we must stand united, not divided, against the terrorist threat.